e-Highlights: June 7. 24 Sivan. Deborah-Jo Essrog on the loss of her aunt, Florence Berkowitz (z"l). Robin Oriel on becoming Sisterhood President and to the members of the2018-2020 Sisterhood Board. Lee Bender on becoming Men's Club co-President, joining Larry Nathanson. 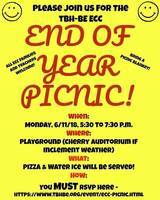 Join us for a special outdoor Kabbalat service, as we honor our seniors graduating high school. Our congregation joins synagogues, churches and mosques throughout the country in celebrating June as “Pride” month. 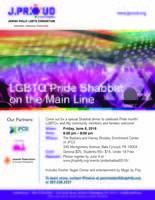 On Shabbat morning, Rabbi Cooper will devote his remarks to the topic of “Pride” in the diversity of our country and to the steps we have taken, and those we need to take, in becoming a more welcoming and comfortable place for the LGBTQ Community. 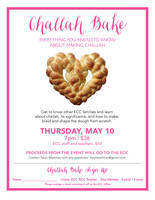 Please RSVP to Dorothy Mandelbaum at doromandel@aol.com. 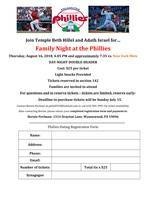 Family Night at the Phillies - Doubleheader! Deadline to purchase tickets is July 15. 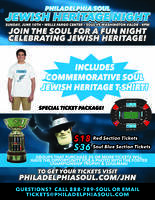 Mail a check to Bernie Perlman, 1314 Drayton Lane, Wynnewood 19096 or buy tickets online. Volunteers Needed for Hava NaGrilla! 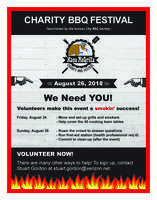 Let's make this year's event another smokin' success. Before you make all your summer plans, please sign-up to volunteer either on Friday, August 24 or Sunday, August 26. Learn more! Kehillah of Lower Merion invites you and your family to put on your pajamas and join us for story time. Held at locations throughout Lower Merion. Sponsored by TBH-BE on August 8. The Taste of Galil program is designed to show 2nd grade campers what Galil is like and help them to adjust to being life-long Galil campers! The total cost of the program is $600. Experience this exhibit that celebrates the 100th birthday of one of the greatest composers and conductors in American History. Watch the Philadelphia Soul take on the Washington Valor. Tickets as low as $18 ea. e-Highlights: May 31. 17 Sivan. *Shabbat Across the Main Line has been cancelled due to weather. Noah Wortman on the loss of his stepfather, Allen Cohen (z"l). Mindy Andelman on the loss of her grandmother, Anne Doppelt (z"l). Steven Solow, Scott Solow, and Adam Solow on the loss of their mother and grandmother, Muriel Mintz Solow (z"l). Lauren Krivitzky on the loss of her grandmother, Mollie Askinazi (z"l). Jodi Miller on becoming the Chair of the Women's Philanthropy of the Jewish Federation of Greater Philadelphia. People of all ages greatly benefit from weekly yoga classes, including better balance, focus, and strength. Join us Wednesday mornings (9:30 AM Beginner/Intermediate; 11:00 AM Standing/Chair). For questions, email Jane Rosen or call 484-432-9217. All are welcome. e-Highlights: May 24. 10 Sivan. Note: On Monday, May 28 (Memorial Day), minyan will be held at 8:00 AM. Robert Schnall on the loss of his mother and long-time congregant, Flora Schnall (z"l). Membership Packets including the Annual Letter were mailed this week. 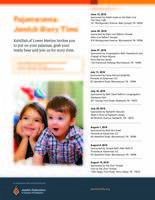 If you do not receive your packet by Friday, June 1, please contact the synagogue office. Come help us plan the October visit of an IDF veterans unit sent to us by the Peace of Mind program of METIV. 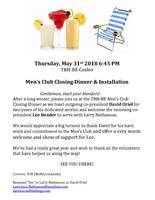 Men's Club Closing Dinner - RSVP by Monday! 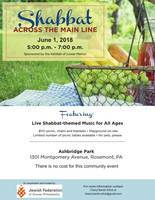 Bring your own picnic and enjoy an evening filled with Shabbat-themed music at Ashbridge Park, 1301 Montgomery Ave., Rosemont. Sponsored by Kehillah of Lower Merion. 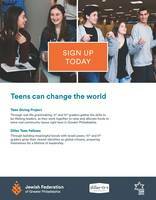 Teens can make a lasting impact on our Jewish communities. Through these two outstanding programs, students can choose to gain hands-on experience as philanthropists or to develop their global leadership skills. Applications due tomorrow, May 25. 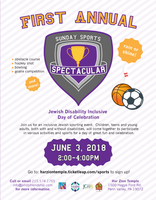 The Philly Friendship Circle hosts this family-friendly event that combines all the amazing energy of the Maccabi Games and Special Olympics for a day of fun, inclusive Jewish sports. Suggested Donation: $5 or FREE with promo code FCPHILLY. e-Highlights: May 17. 3 Sivan. 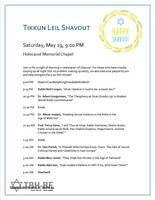 9:00 PM Tikkun Leil Shavuot, Holocaust Memorial Chapel. See this flyer for details. For questions, email Judith Friedman. For her Bat Mitzvah project, Stella Berger is creating allergy-safe snack packages for visitors at Bryn Mawr Hospital's ER. Help by making a donation. 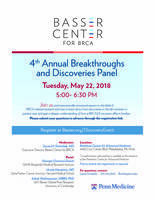 Learn about how discoveries in the lab translate to patient care, and gain a deeper understanding of how a BRCA1/2 mutation affects families. Teens can make a lasting impact on our Jewish communities. Through these two outstanding programs, students can choose to gain hands-on experience as philanthropists or to develop their global leadership skills. Applications due May 25.
e-Highlights: May 10. 25 Iyyar. Please join us for an inclusive Shabbat community-wide learning opportunity. 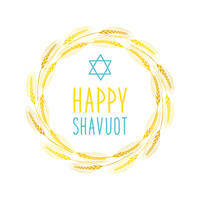 At the conclusion of Kiddush, Rabbi Cooper will bring us some texts to study and discuss, including some interesting aspects of the Book of Ruth, in advance of Shavuot. 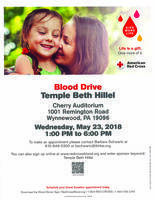 This program is brought to you by the Inclusion Committee, with generous funding from the Charlotte and Nathan Becker Holocaust Endowment Fund. 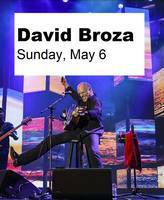 Enjoy another enriching Shabbat tradition at Temple Beth Hillel-Beth El! In Hodesh Sivan, we received Torah at Har Sinai, and learned a new set of ethical and spiritual principles. 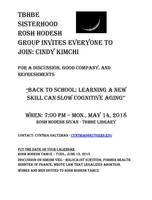 As we welcome Rosh Hodesh Sivan on Monday, we will explore results from recent clinical research studies in older adults, correlating new skill and information acquisition with new brain cell growth. Examples from this research, and the lives of our Biblical and Talmudic sages will illustrate how stimulation of the learning process in specific ways is transformative and slows cognitive aging. All are welcome to this meeting! Congregational Kiddush Lunch co-sponsored by Marilyn and Alan Fogel in honor of Alan’s 60th Anniversary of his Bar Mitzvah; and the Havurah in honor of the Special Havurah Shabbat. Torah Fund Brunch - A Success! Thank you so much to everyone who helped us honor Fran Perlman at this year’s Sisterhood Torah Fund brunch. It was a heartwarming and joyous event. 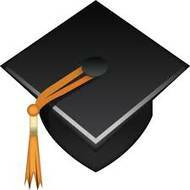 We have raised at least $14,000 for the Jewish Theological Seminary. It's not too late to make a donation in Fran’s honor! Mail a check payable to Torah Fund to TBH-BE (attention: Sisterhood) or donate online. e-Highlights: May 3. 18 Iyyar. Amy and Hazzan Eugene Rosner on the engagement of their daughter, Elana to Max Katzen. Stephanie and Rob Kaplan, Susan and Lewis Gantman, and Bev and Wayne Kaplan on the birth of a daughter and granddaughter, Hannah Jane Kaplan. Food available for purchase between 5:30 - 6:15pm. Come to a meeting to help plan a week-long stay in October for a close-knit Israeli combat veterans unit who served together and now heal together. They are participants in the internationally recognized Peace of Mind program, established by Dr. Danny Brown, director of the Israel Center for the Treatment of Psychotrauma at Herzog Hospital in Jerusalem. People of all ages greatly benefit from weekly yoga classes, including better balance, focus, and strength. Join us Thursday mornings (9:30 AM Beginner/Intermediate; 11:00 AM Standing/Chair). For questions, email Jane Rosen or call 484-432-9217. All are welcome. Adult Ed with Dr. Saul Wachs - "Judaism's Impact on World Civilization"